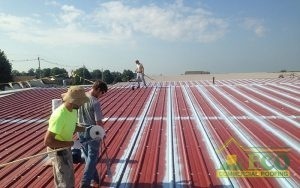 ECO Commercial Roofing Service Areas Around Texas, Louisiana, and Mississippi! Find Out If We Can Help You With Our Services Today! Call ECO Commercial Roofing now at (833) 200-0571 for the high quality roof services you need! Our professional roofers specialize in delivering high quality roof solutions, and always work diligently to offer an equal level of customer service. We have been commercial and residential roofers in the Texas, Louisiana, and Mississippi area for years, and our contractors are proud members of our community. Tackling a roof project can be daunting for some clients, but we are here to answer any and all roofing questions, and offer affordable solutions. You can count on the contractors at ECO Commercial Roofing to be helpful, courteous, and professional at all times! We Offer Services in Texas, Mississippi, and Louisiana! Your roof plays a major role in protecting your home or business, so it is of the utmost importance that you have a roofer you can rely on. We use only top quality roofing materials in order to provide our customers with reliable roof solutions, and ensure that all of our roofers are trained to industry standards. Because the type of roofing you install can affect the value of your home or business for a long time, we make sure to stock extensive selections of materials and styles for you to pick from. Our roofing experts are ready to help you choose which roof material will suit your home or business best, in terms of not only design, but also longevity as well as! For clients that are interested in repairs or roof system replacements, our professionals can assist you with that too! When you need residential or commercial roof solutions you can rely on to last for a long time, contact the experts at ECO Commercial Roofing. Our contractors offer dependable roofing in Texas, Louisiana, and Mississippi and also the areas listed below! To schedule an assessment and receive a quote, call us now at (833) 200-0571! You Can Count On Us For All Of Your Roofing Needs. Our professional roof contractors are skilled at providing excellent roof services, but we are specialists in customer service. We have been residential roofers in the Texas, Louisiana, and Mississippi areas for years, and our contractors are proud members of their communities. Our contractors are always happy to help our clients with any questions or concerns about roof systems, and we provide a selection of solutions as well. For expert, kind, and helpful contractors, you can always rely on ECO Commercial Roofing! Your roof plays a significant role in protecting your house, so it is of the highest importance that you have a contractor you can trust. 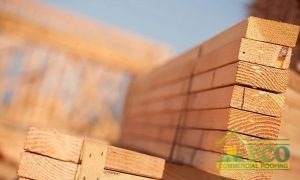 Each of our contractors is educated to industry standards, and we utilize only the highest quality of roofing materials. Because the type of roofing you install can affect the value of your home for years to come, we make sure to stock large selections of materials and styles for you to pick from. While aesthetics will play a significant role in the roofing material you choose, make sure to consider the long-term value benefits as well. We provide dependable roofing repairs, roof replacements, and roofing installations too. Contact ECO Commercial Roofing when you require residential roofing service you can count on to protect your roofing system for decades. We don’t only offer our professional roofing in Texas, Louisiana, and Mississippi, but also in the surrounding areas you will find listed below. Give us a call today at (833) 200-0571 with roofing questions, or if you’d like to schedule your appointment with our expert roofers.